The Entama came out after the Keitai. It is basically the equivalent of the English V4 because it can get a career. I have yet to play it all the way through since I just got it, but apparently it has a special feature where it cooks as well, which seems really cute. 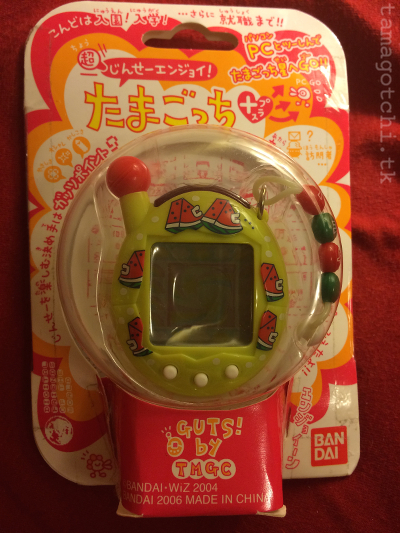 Just like on the other Japanese connections, the games are not gradually unlocked, but are already playable once the Tamagotchi is born. The Entama is very similar to the Uratama, except that it has black pixels instead of blue pixels. 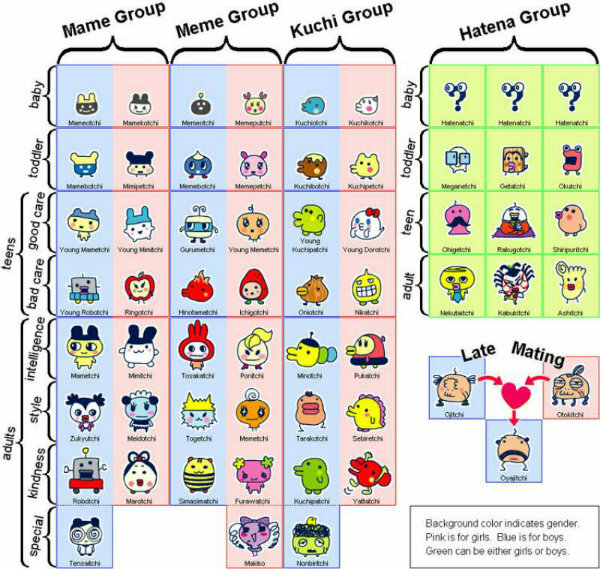 It was also the first to have the new version of Mametchi (giant eyes and big head). 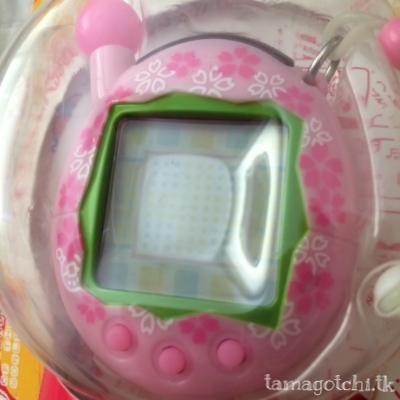 So far the buttons on this Tamagotchis are very easy to push, and the response time is very good. Bandai seems to have produced a cheaper shell, though, because on the side where the antenna pops up, the seems is sort of splitting a little bit, and the paint isn't very nice on the back. 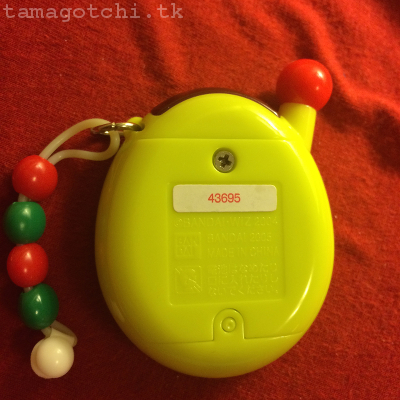 Like the Uratama it has a lanyard of beads that say "TMGC". 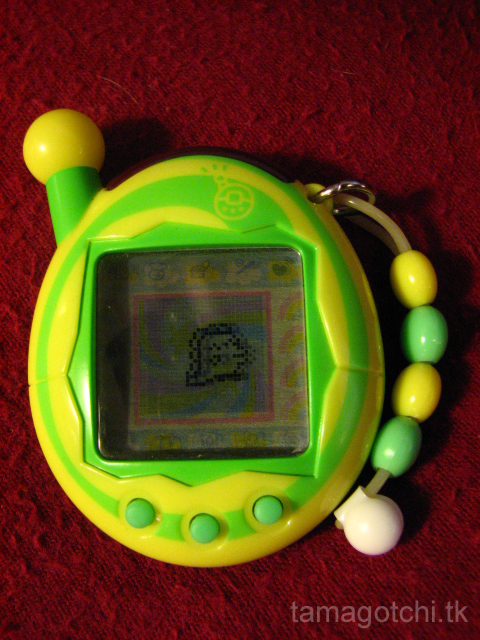 This was the first Tamagotchi to have an antenna that stuck out at a sort of diagonal angle with a ball on top. In my opinion these sorts of antennas are the uggliest and most irritating. I'm not sure why Bandai decided to design the shell this way, but oh well. 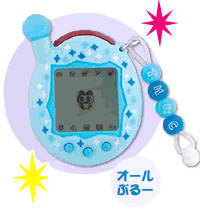 Other than this one stupid thing I would say the Entama and Uratama are both very good virtual pets and I would highly recommend getting them. If you want a similar pet in English then I would recommend getting the V4.5 (not the V4 since in my opinion it isn't that great). 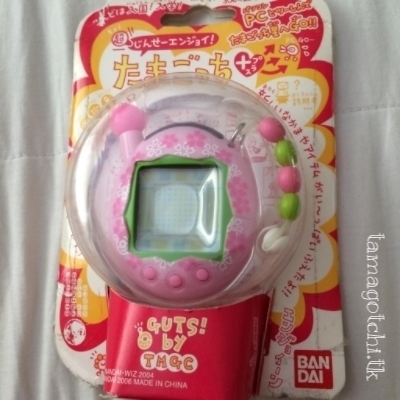 Recently bought this one from Yahoo Japan for an amazing price. 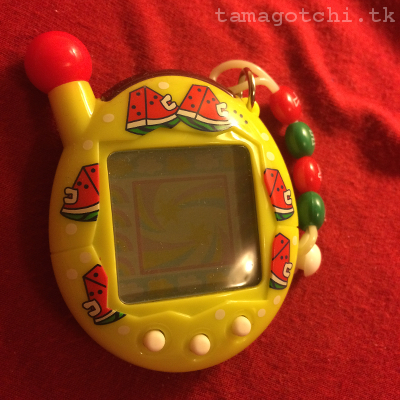 It is a shareholders edition and I absolutely love the watermelon design! I bought this on eBay with a set of Uratamas and the price came out to $33 and change. So I got mine for about $11, but if you bought it alone or new in package it might be a little more expensive. Right now they seem to be going for anywhere from $20-50ish+shipping. I would recommend getting an Entama and Uratama so you have two versions that have a lot of connection capabilities. and characters in common.